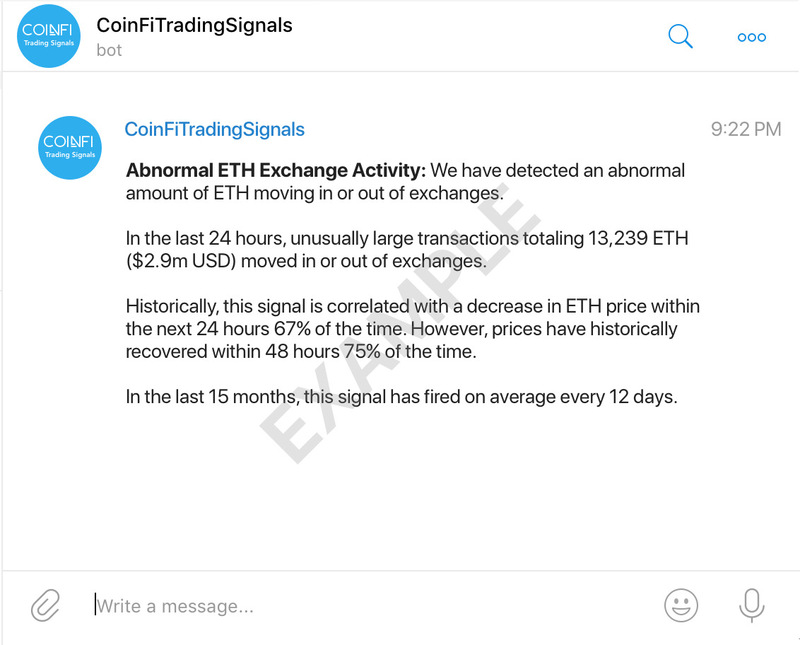 We added the “Abnormal ETH movement in or out of exchanges” signal. 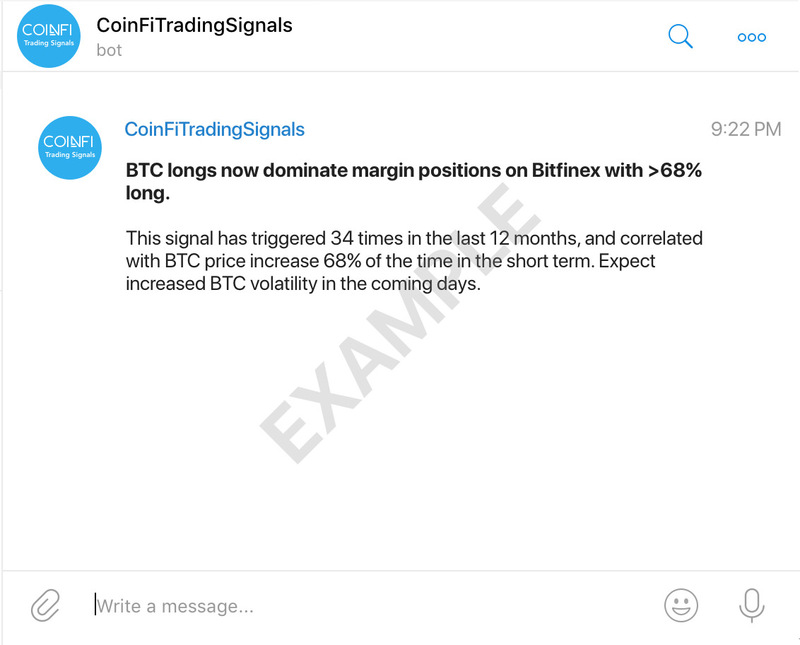 This signal alerts users when the markets are becoming more volatile. In addition, our backtested results also found that when the signal fires, the price of ETH drops 67% of the time within the first 24 hours, with the price recovering within the next 24 hours. More details regarding the signal are written here. "Abnormally large ETH transfers into exchanges" signal which is now active as of December 2018 (WIP in November). This is the Ethereum (ETH) variation of the abnormally large token transfer into exchanges signal. A daily signal on coins with the highest increase in news mentions is also now active as of December 2018 (WIP in November). This daily signal shows the top 5 coins that had the highest increase in news mentions over the last 24 hours. This signal is used to discover coins that are hot in the press. A daily report showing all the tokens that had a signal firing the previous day. This gives users an opportunity to scout for new coins and optimize their portfolio. 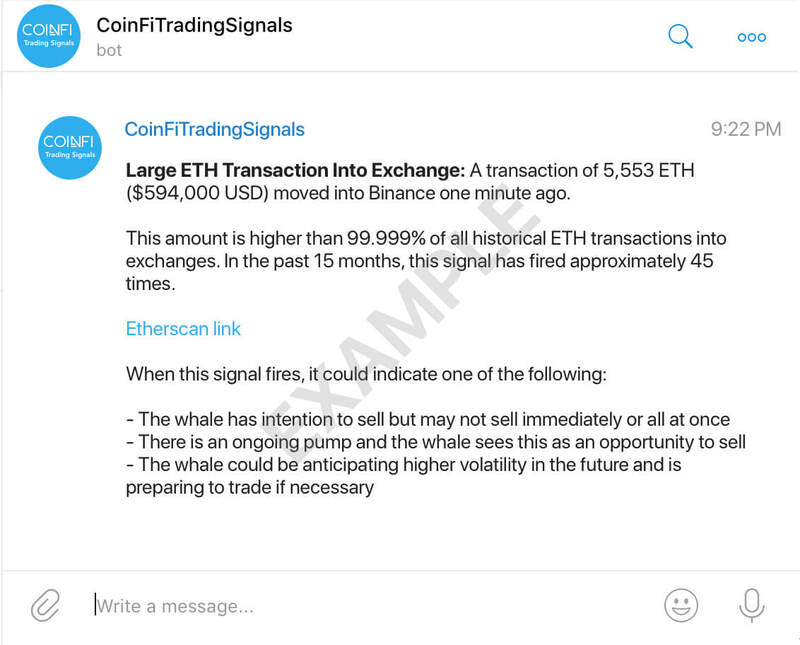 Adding Etherscan links to our trading signal messages. This provides our users with greater transparency and the ability to dive in and do further research. 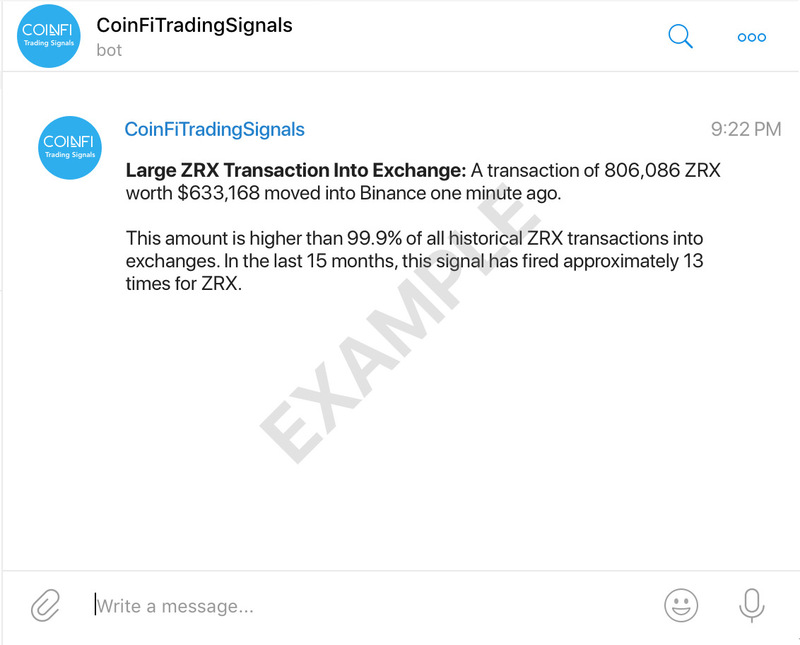 Functionality for our trading team to broadcast manual messages to our users. This allows our professional trading team to comment and provide feedback on the overall market and what our signals may mean from time to time. Other Updates CoinFi Research All our latest podcast episodes will be found at CoinFi Research moving forward. On that note, we published “CoinFi Podcast Episode 11: Can USDT Maintain its Dominance Amidst All The Emerging Stablecoins?” last week, you can listen to it here. It’s been an exciting two months for CoinFi! Today, we’re looking to provide you an update on our most exciting release yet as well as the first use case for our token - CoinFi Trading Signals.